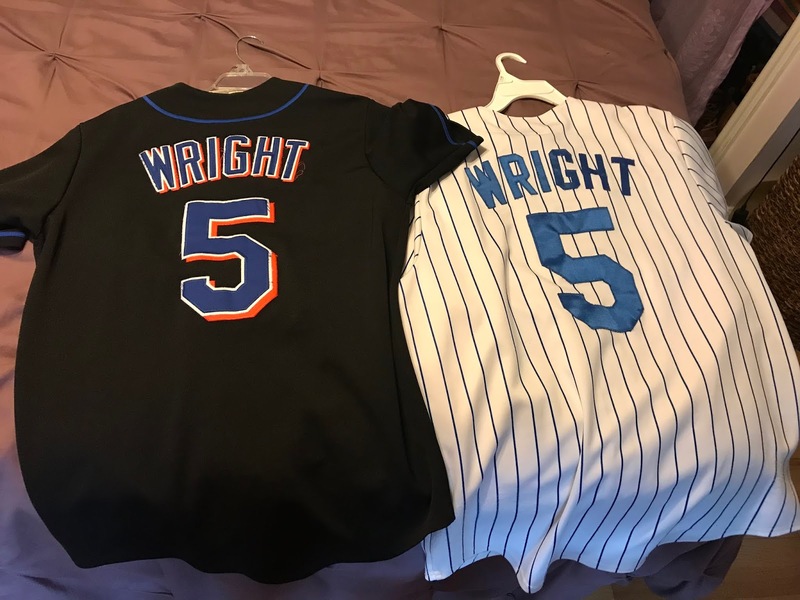 I own two David Wright jerseys. He is my favorite Mets player and both jerseys were gifts from Joe. Wearing them and even looking at them since he died has been overwhelmingly bittersweet. I have no idea which one of them I will wear today as my son, sister, and I go to Wright's last game, but I know putting it on will pack a punch. In a lot of ways those jerseys carry the story of us. So many games together where I wore one or the other. So many baseball moments for us as a couple over the years and the one consistency on our Mets was Wright. There were lots of games in 2006, the year I got Joe a ticket pack halfway through the season as an anniversary gift. We even got to be at the first game of the Division Series that year, an experience that yielded a Mets win and my favorite photo ever of us. I still remember taking photos of the TV in my living room as the Mets celebrated winning the NL East that year, burning forever into my memory images of Wright and Reyes celebrating together. Joe made fun of me for doing it and I thought of him when I did the same thing after Santana's no-hitter and the 2015 NL East-clinching game. In 2007 and 2008, David Wright won both the Silver Slugger Award and a Gold Glove. Joe and I got engaged and married. We never stopped going to games and cheering on our Mets. We went to one final game at Shea together on closing weekend in 2008 and watched with some tears from home as Mike Piazza and Tom Seaver walked off the field. Baseball was life - with its soaring victories and crushing defeats, new beginnings and goodbyes. 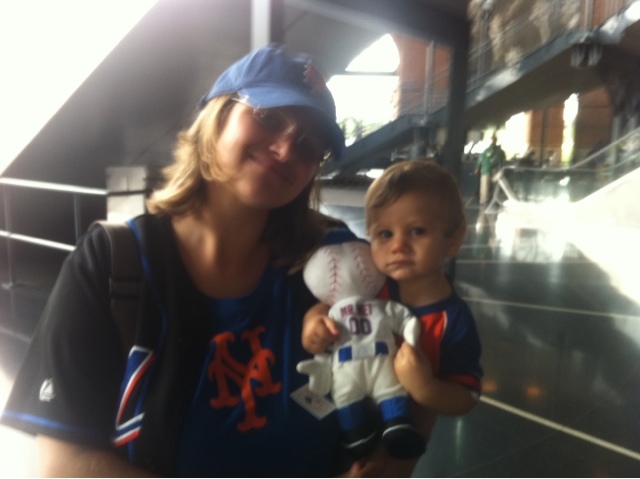 We, of course, made our way to Citifield in 2009 - Joe with his Johan Santana jersey and me still with my David Wright gear. In May of that year we also traveled to Boston to see our Mets take on the Red Sox. Even though the Mets' record was awful, it was a good year. Then, in January 2010 came our own crushing defeat paired with a new beginning. In a matter of one week, we got the news of Joe's stage 4 cancer and a positive pregnancy test. Baseball was one of the things that saved us that year. Being able to go watch Wright play and Santana pitch complete with our soon-to-be Mets fan son was a bright spot in the midst of a tough year. Since Joe's death in December 2011, baseball has been life-saving for me. I go to games with my little guy and we acknowledge his Dad's part in that even though he isn't physically here. 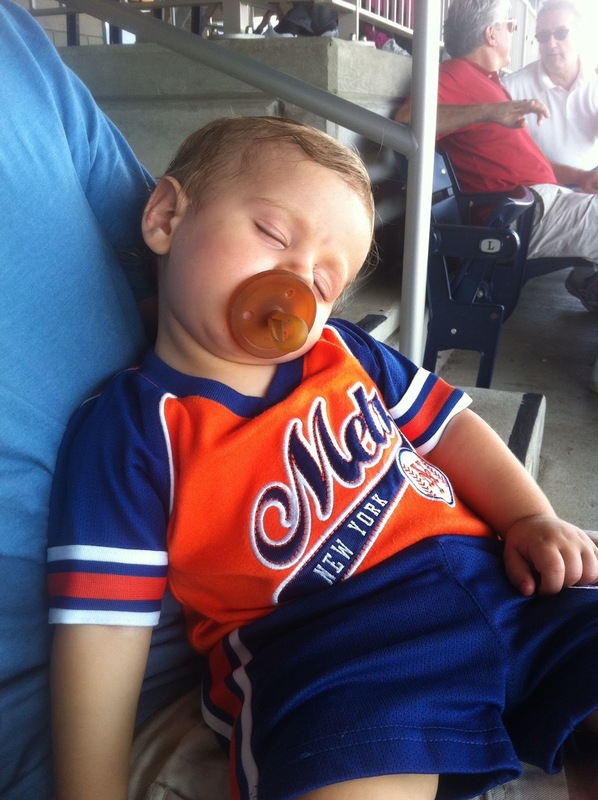 It may be remembering how at his first game at Citifield his Dad bought him a Mr. Met doll or how he fell asleep in his Dad's lap at Nationals Park at his first Mets game ever. I tell him about his dad's favorite players and how he hated to high five. And I teach him about the game, something I'm sure his dad would have loved to do, but I will not have go undone in his absence. 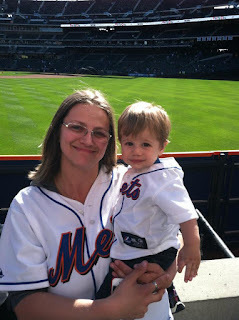 My son and I went to Opening Day at Citifield on April 5, 2012 with one of my good friends. It was 4 months since Joe had died and the day after his birthday. In that game, Santana pitched 5 scoreless innings and David Wright went 2-3 with a walk. The Mets won 1-0. 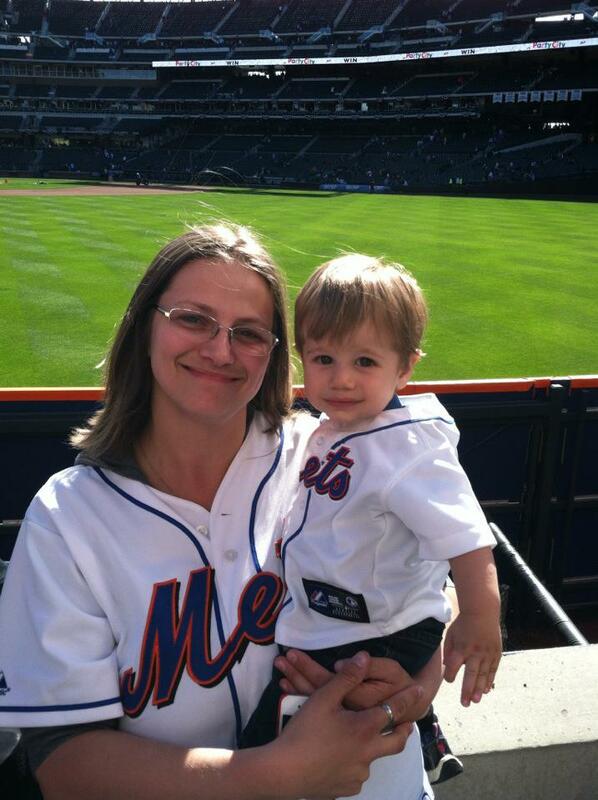 It was my first time at Citifield since Joe died - a goodbye and a new beginning. It was a day with, as I like to say, "all of the feelings", but I left feeling thankful for this sport and this team that has taught me to believe even when the odds seem so long. This morning I watched a clip from an interview Wright did recently with Steve Gelbs and in it he said so much of what I've been thinking over the last 7 years since Joe died. I am inspired by Wright. Just like in the real world, in the baseball world things don't always go the way we want them to go, but Wright's observation in this interview that when the results don't go the way you want them to don't let it be because you didn't work hard enough or want it bad enough resonates. I see in him someone who was dealt a painful detour in life, but persevered with hope. For years, he dealt with the effects of his spinal stenosis and surgery after surgery, all while working to come back to major league baseball. When I heard him talk about it over these last few years, I saw in him not only the heartbreak and humility of a setback, but also the hope and determination of a comeback. Those are the things that make us human and they are also the things that make us great. No matter what happens today (or which Wright jersey I decide to wear), that is what I will take from this moment of David Wright's last start at Citifield and my own journey forward through grief. I know Joe will be there with us as Domani and I take in this amazin' moment at Citifield and that makes me feel all of the feelings.